AKKUraatd is looking for you! At the moment, AKKUraatd has 4 seats in the University Student Council (USC), they participate in the highest form of co-determination at Radboud University. Our 4 USC-members are supported by a large, enthusiastic faction. Coming year, a spot on this team could be yours! 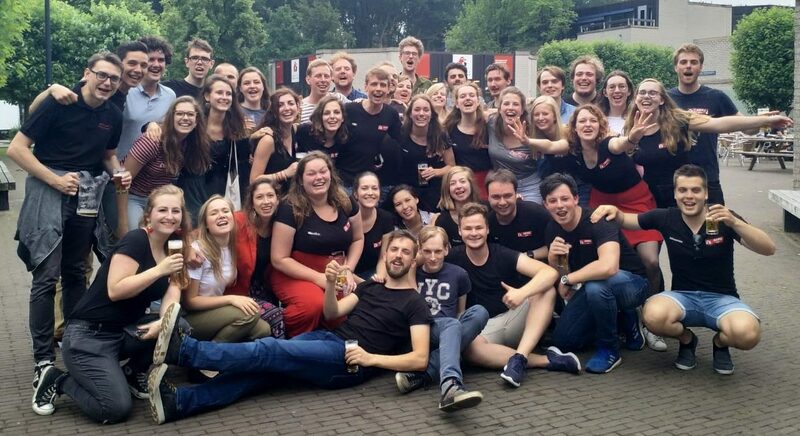 Since 2002, AKKUraatd has made it its goal to represent the students of the Radboud University. We strongly believe that all students should get the freedom they require to develop themselves to the fullest. Opting for AKKUraatd means working with an experienced and involved faction with a longstanding tradition as a strong front within the USC. You can support and propagate our principles as member of our faction and as USC-member. Coaching and practice in campaigning and politics. Are you interested in being part of this team? If so, you are welcome to join our informative assembly on Thursday 7th of February (in E 1.14) starting at 12:15 pm. During the assembly, the current faction members will recount their experiences, tell you why AKKUraatd is the best faction to be a member of and what a year in the USC and/or in the faction can bring you. Any questions left? You are always welcome to send us an e-mail at akkuraatd@akku.nu. We would love to meet you and answer your questions over a cup of coffee! Already convinced? You can apply by sending an e-mail to socoakkuraatd@akku.nu. Please include a motivational letter, a résumé and your telephone number in your application. The application deadline is set for Tuesdag 12th of February on 11:59 p.m.